We are getting all "Dressed Up' (in costume) this week at Tuesday Throwdown. Our Sponsor this week is Chi Chi Memories Digi's, and they generously gave us some sweet images to create with. I decided to make a group scene- using the LadyBug digi, the Robot Boy, and the Apple Costume. The images were colored with Copics. 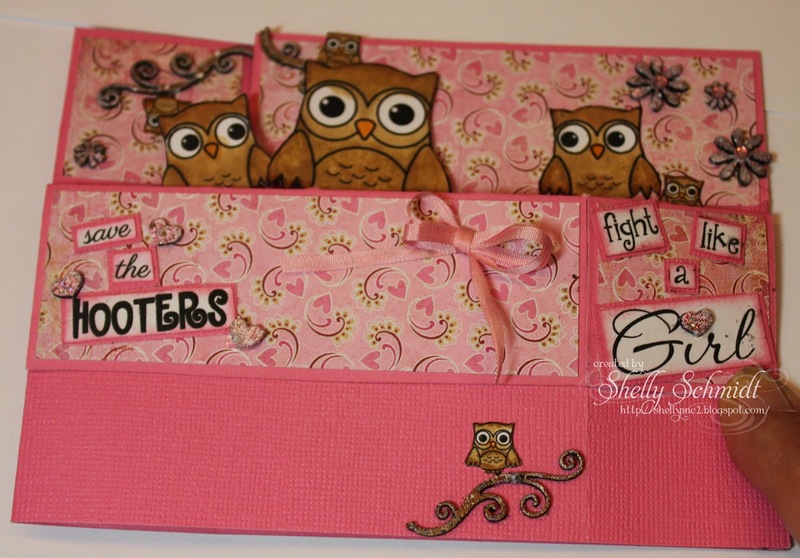 I used the Sweet Sunday Sketch 242.The sentiments are from Create with TLC. 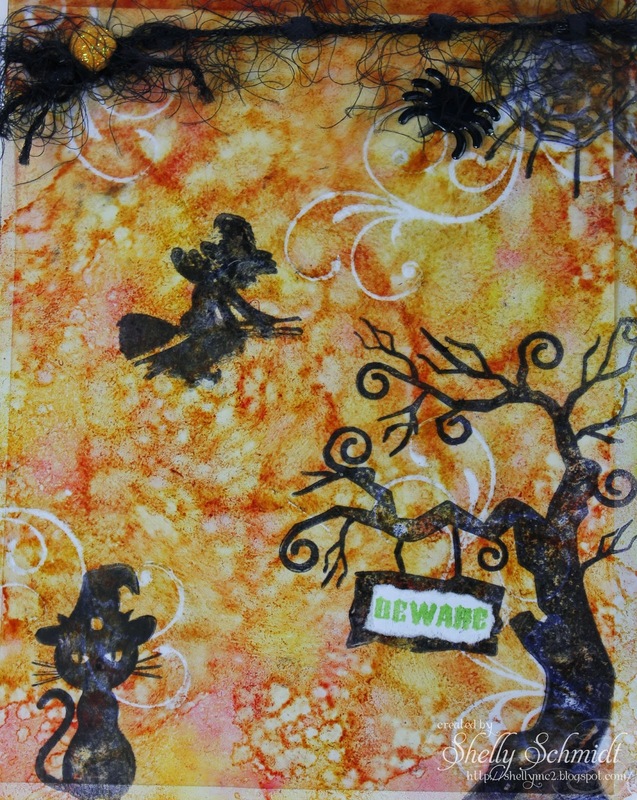 The challenge at Sweet Stamps for this week is 'Spooky'. I love Halloween and had fun making a card using the Technique Junkies technique called Acetate Resist. 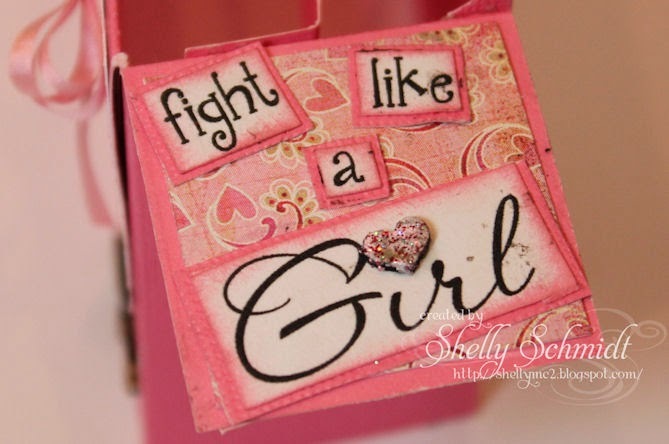 Ohhhhh- this is created on an acetate sheet cut and folded into a card. The color is done with Alcohol inks. I stamped the images from the Halloween Silhouettes stamp set in Black on the outside of the card. The swirls are done using the Flourishes images from Sweet Stamps.I added cardstock inside and it is anchored down with the black fiber I added at the top. Spooky enough? I had a blast- come join us for the challenge! We have a weekly challenge and a monthly technique challenge. The monthly challenge 10/15-11/14 is Box Cards. Our winners are chosen by Random.org- and if you use a Sweet Stamps image, your entry will count x's 2! Happy Sunday! I love this White on Watercolor technique by the Technique Junkies. 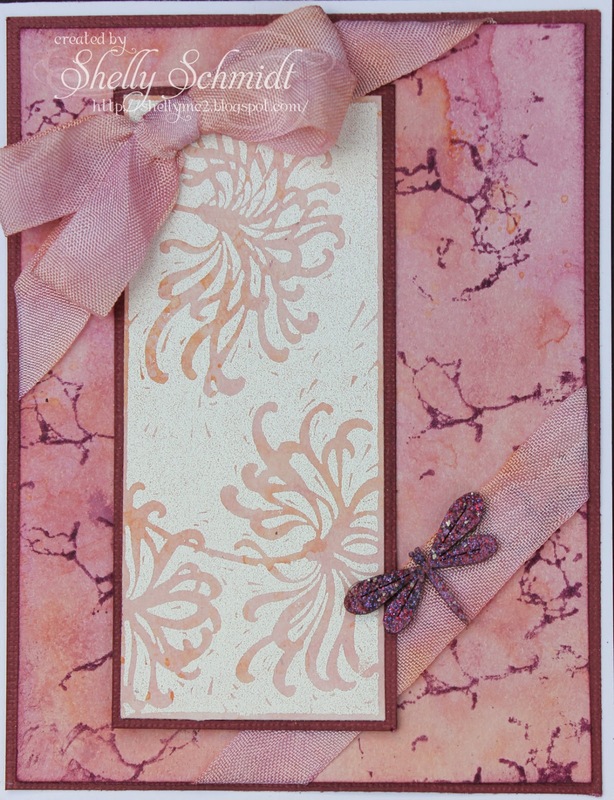 The variety of colors in the technique make it fun to choose a color to make as the theme of the card. The background made me think of the wheels a turning in our busy lives, and the sentiment is calming..... ! The stamps I used are both by Technique Junkies line of stamps. For the Anything Goes challenge this week, I inked up the new AF4622 Leaves set, and the Pumpkins & sentiment from the AF4821 Fall Owls set. I used a Technique Junkies Technique called K-Flip. I wanted to use fall colors- and used spots and just rolled the color onto the brayer one at a time. I used: Butterscotch, Orange, Rustic and Peapod. I colored the images with Copic Sketch Markers. The Braided border is a Piccolo Accent and is embossed with Brownstone Enamel EP. 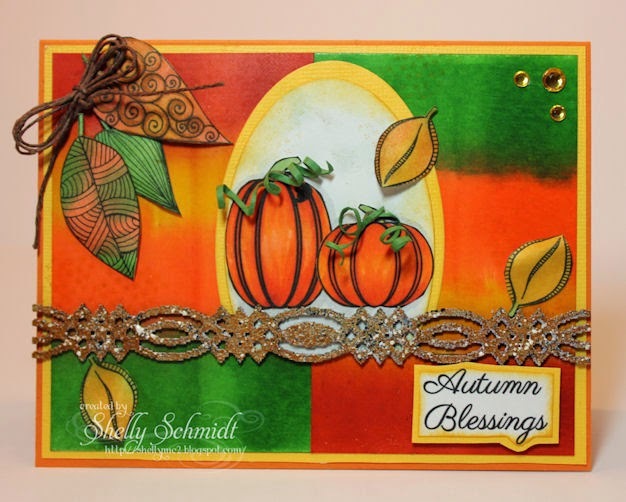 A fun Monochromatic fall card for the weekend. I played around with the Wrinkle Free Distress technique by Tim Holtz- basically, you dab Distress ink on your craft mat, spritz it then run your cardstock through it. I had a bit of left over ink, so used the Technique Junkie instructions from the last newsletter to dye the ribbon to match as well. I had 2 pieces of the technique, so used a piece of the 2nd to stamp the floral image from Technique Junkies in Versamark and embossed it with white embossing powder. I wanted a little more punch to the background, so inked up a small area of a Technique Junkies background and stamped it randomly on the background. I added a dragonfly from the Sweet Stamps Picolo line and embossed it with Enamel embossing powder- which has a touch of sparkle in it. 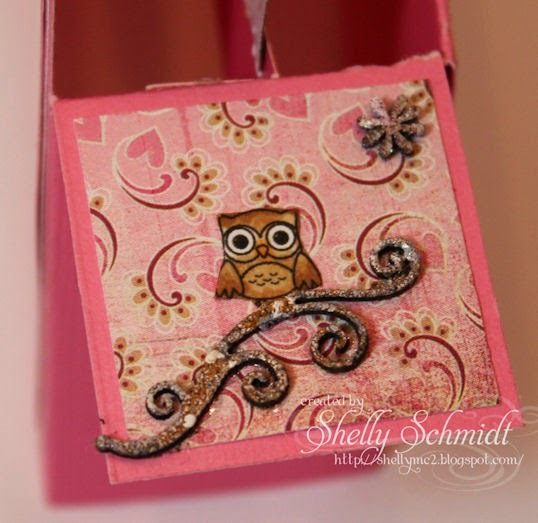 The monthly challenge at Sweet Stamps for 10/15-11/14 is Box Cards. I made a rectangular Box Card. You can adjust the measurements by doing a little basic math. I used Coordinations cardstock, which is 12x12 (Rosey Reds- and this is In the Pink). My card will fit into a C6 envelope. - I cut the cardstock 4" x 11 3/4"
-Score along the long edge @ 1 1/2", 5 3/4", 7 1/4" and 11 1/2"
(If you used 11 1/2" cardstock, you could just remove 1/4" from the front and back- making the cardstock 4" x's 11 1/4" and the score marks 1 1/2", 5 1/2", 7", 11"). -Regardless of the above measurement- you will score along the 4" side of the cardstock @ 1 1/2". Next, snip up to the 1 1/2" line- that is where the front and side panels are formed. I fold all but the last fold lines- if you want the back to be stiffer (which is the last long section, do not fold that part- although it will not matter- you will cover it up anyway). -Cut a piece of cardstock 1" longer than the front measurement. Score at 1/2" from each end- fold these and apply tape to each end and adhere to the inside of the box. For the square box, you will use two of these, but for the rectangular boxes- there is not enough room for two of them. I cut my cardstock between 3/4" to 1" wide for this piece- use up your scraps : ). So the sides are above, the card lays flat to fit into the envelope- as shown below. 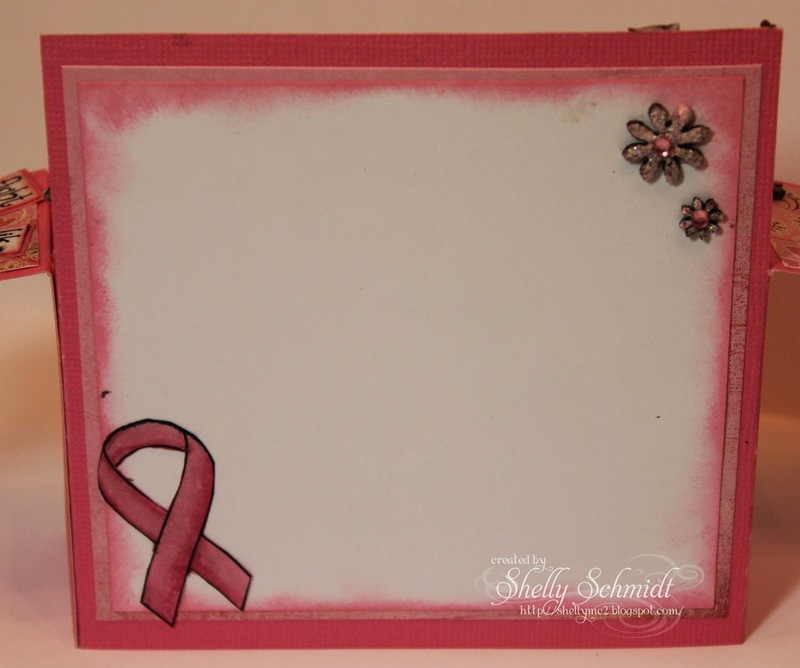 And, this is the back- where you write your message. We have a weekly challenge and a monthly technique challenge. Our winners are chosen by Random.org- and if you use a Sweet Stamps image, your entry will count x's 2! The Tuesday Throwdown challenge this week is all about 'Awareness'. Our Sponsor is Bugaboo, who generously allowed each DT member to choose an image from their large assortment of Awareness images. It was a tough call, I have a nephew who has had Wilms Tumor which is cancer of the kidney (he is 7 now and is doing well), and another nephew that is Diabetic- Type 1 (He is a freshman in college this year). So, as you see, I went with the Diabetes image- called Bugaboo Brat-Diabetic Boy. 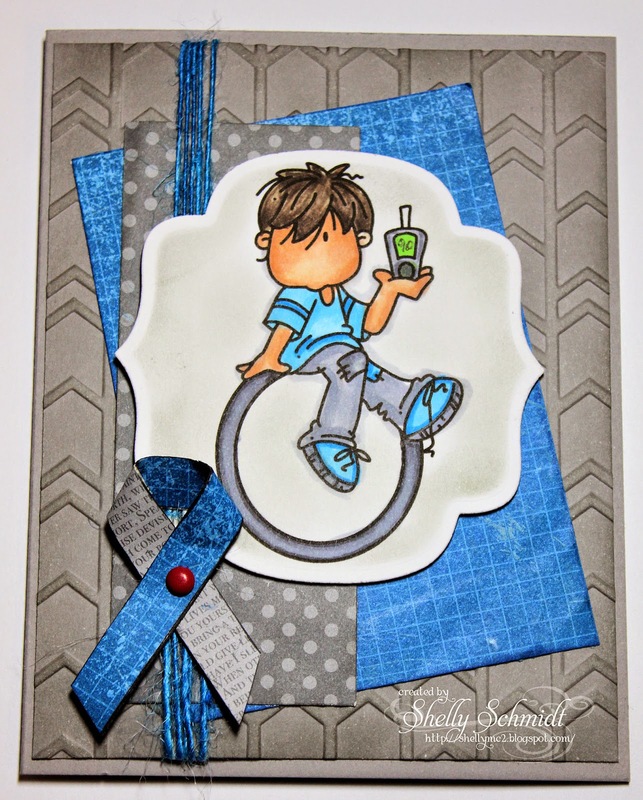 The colors for Diabetes Awareness are Gray and Blue, so I used those colors for the theme of my card. I was inspired by a Sketch (and ended up CASE'n the card here) from HERE. 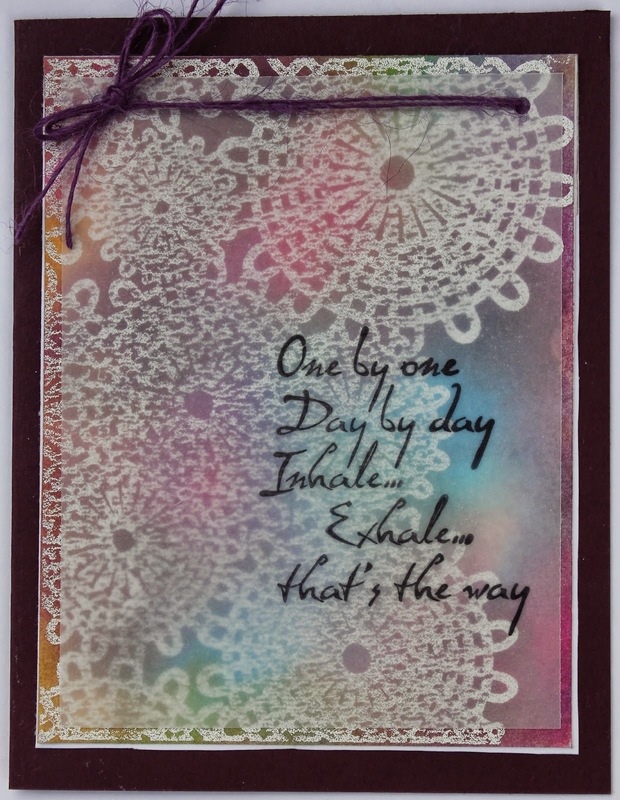 I used twine that was white and colored it with a B06 Copic after it was applied to the cardstock- I simply slid an envelope behind the twine while coloring with the marker- fun- perfect match..... The ribbon is cardstock and the red brad symbolized a drop of blood. And, I decided to make another card with the scraps of the DP I had left over..... I am trying to practice Copic coloring, so used a few different colors on this 2nd card for the hair and skin. There is a cool blood test doctors can use to tell how what your blood sugar average is over the last three months. It is called HgA1C (or Hemoglobin A 1 C). The result of this blood test can tell the doctor how well Diabetes in under control. It also tells if Diabetics cheat alot. There is a DT call right now at Tuesday Throwdown : ) Stop on by and see the wonderful Awareness cards and the variety of images the team used! 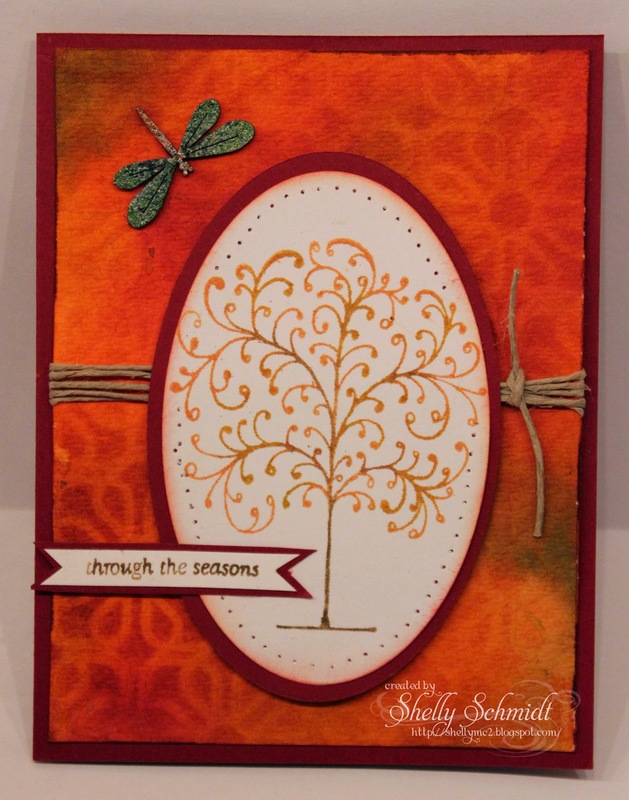 The challenge at Sweet Stamps for this week is Fall. I gingerly spritzed color onto watercolor paper and let it completely dry. Then, I spritzed water onto the stencil, placed it onto the cardstock wet side down and blotted it. Once it was completely dry, I placed the stencil exactly over the spot where the shadow was and added a touch of Rusty Hinge Distress Ink. I used Distress Markers Dried Marigold, Wild Honey, Rusty Hinge and Vintage photo directly onto the stamp, huffed onto it and stamped it on plain white cardstock. 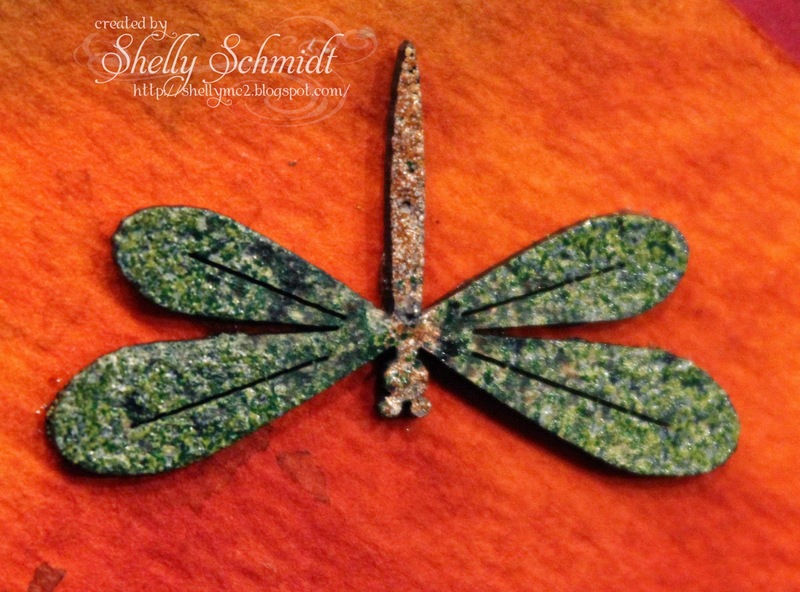 For an added accent, I added a Piccolo dragonfly- I am seeing dragonflies all over in the yard, and I decided to use brown in the center of the dragonfly and Mossy Glen on the wings. Here is a close-up view of the dragonfly with the Enamel Embossing Powder. It does not pick up the shimmer in the EP, but you can see the beautiful color here.